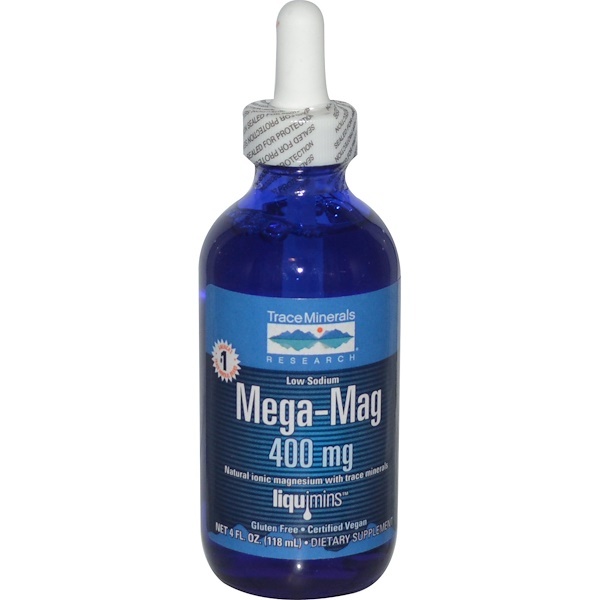 Mega-Mag liquid magnesium is a rich, natural source of concentrated magnesium ions with other minerals and trace elements that act as natural co-factors. Magnesium is essential to over 400 different enzyme reactions and various other body functions. Magnesium ions (charged magnesium atoms) play a key role in nerve conduction, muscle contraction, bone and tooth formation, protein metabolism and are particularly important to heart and circulatory health. Research has shown many American diets to be deficient in magnesium. 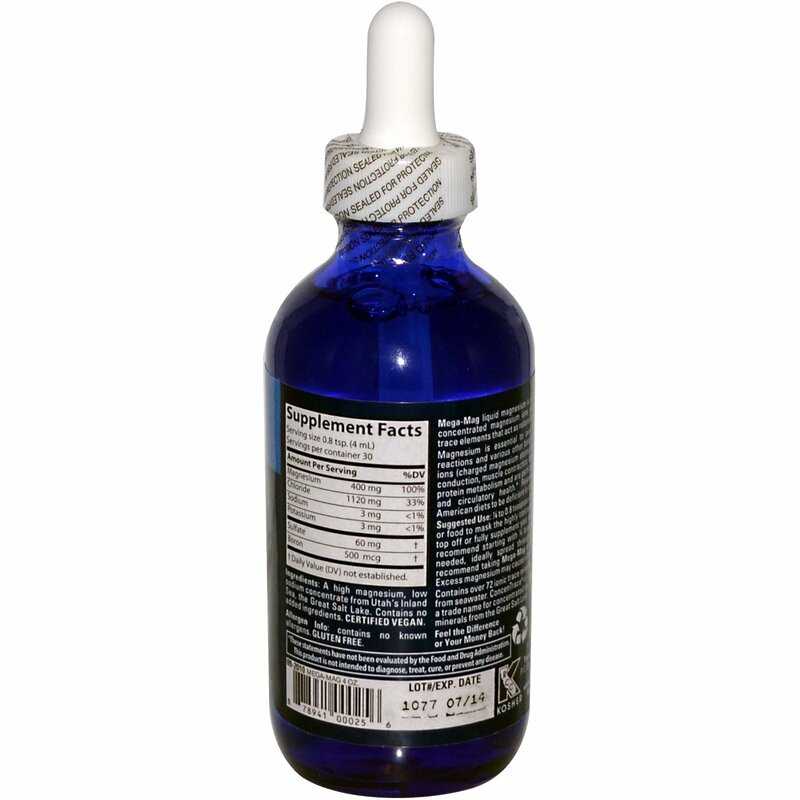 1/4 to 0.8 teaspoon (1 to 4 ml) daily with juice or food to mask the highly concentrated mineral flavor. To top off or fully supplement your diet with magnesium, we recommend starting with 1/4 teaspoon and increasing as needed, ideally spread throughout the day. We also recommend taking Mega-Mag with a large glass of fluid. Excess magnesium may cause a laxative effect. A high magnesium, low sodium concentrate from Utah's Inland Sea, the Great Salt Lake. Contains no added ingredients. Contains over 72 ionic trace minerals from seawater. ConcenTrace is a trade name for concentrated sea minerals from the Great Salt Lake.